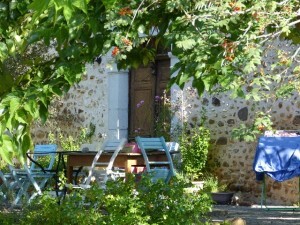 If you are thinking of buying a house in France, you are most likely caught up in dreams of pretty French houses, delicious food and wine and a slower pace of life. Probably the last thing on your mind is admin, paperwork and bureaucracy. If you are using a property finder, they will deal with most of the irritating and time wasting processes, research and bureaucracy of actually finding and buying the house but there are still some things you need to think about and preferably ahead of time to make your purchase and make your first few weeks in your new house as stress free as possible. In France, the way to beat the bureaucrats is to be prepared. Bank account – the first thing to have in place when you decide to buy a house in France is a french bank account. This is not a difficult process and has been greatly simplified for foreigners over the last ten years. There is even a French bank that now offers an English speaking helpline and most now have online facilities where you can easily transfer from your home country to France. Which bank you choose, will depend on your personal situation and the area of France in which you are looking but it is worth setting this up at the same time that you begin your property search. Currency transfer – it makes life much easier when you come to make an offer on a property if you have already organised a way of transferring your money from your home country and, ideally if you have already transferred some at an acceptable rate of exchange for you so that your spending power is not overly effected by fluctuations in currency. Make sure you use a reputable exchange company and usually a specialist will get you a better rate than your bank. I work with a currency exchange specialist to get my clients the best possible rate so contact me if you would like a recommendation. Visas – if you are not a European resident, you may need a visa and/or a carte de séjour depending on which country you are coming from and whether you are buying a permanent or holiday home. This can take time and lots of paperwork which will need to be translated and often the originals will be required. Never lose your patience with French officials however frustrating the system – you will never come out top of an argument with a French fonctionnaire. Stay patient, smile and ask for their help and expertise to get them on your side; you will get there in the end. Official Paperwork – the French love their paperwork; there is lots of it and if it is in duplicate so much the better. Make sure you can lay your hands on all your official documents such as birth, marriage and divorce certificates, driving licence, social security cards, insurance policies, utility bills etc. If you can provide a piece of official looking paper for every demand (preferably with a nice stamp on it), you will thrive in France. Insurance – the French also love insurance and you will need insurance for your house, car and health and also for your children if they are going to go to school in France. In France people generally stay with the same insurance company and most will use a local company and deal with them face-to-face – online providers have not really taken off yet in France; here people like to shake the hand of the people they deal with. So take the time to find the right company for your needs. In the past, you had to give three months written notice to cancel a policy and wait for the renewal date but recent changes to the law make it easier to change providers as you no longer need wait for contract renewal date to change over. Utilities – once you have a completion date for your French property, it is wise to inform the electricity and water providers that you will be moving in to ensure that you do not get cut off. On the day of completion, you need to read the meters and call the utility companies with the readings and to change the accounts into your name and address where you want your bills to be sent. They might want to see your ‘Compromis de Vente’ contract and you will also need a French bank account in order to get your utilities set up. If you are buying through an agent, they will usually change the utilities over into your name. Health cover – you will also need some form of health cover in France but this is very particular depending on which is your home country, whether you are buying a permanent home or a holiday home and whether you are retired or planning to work so you need to look into this depending on your personal circumstances. For anyone from one of the EEA countries and Switzerland buying a holiday home, you can apply for the EHIC card. All of this may seem like a lot to think about but, if you deal with the necessary paperwork little by little or petit à petit as they say in France, you will find your French house purchase far easier and more enjoyable and your starting life in France a whole nicer experience.